We are finally on the mend from this awful flu that hit our house like a stack of bricks. This weekend was filled with lots of R&R, play-dates, takeout, TV watching and of course the Oscars! We did manage to hit the mall and D and I had a belated Valentine's dinner at a local inn which was absolutely de-yummy- my five year old's combo of delicious and yummy. Linking up today with Erika and Andrea for Favourite Things at Target. It's kinda with a heavy heart as my beloved Target is leaving Canada. I mean, I thought I spent enough money to keep Target afloat here but apparently my funds did not suffice. So soon Target will once again have to become a destination whenever I head to the US. Target's motto is "expect more, for less" and working in the corporate world and dealing with them before, their offerings and line up is different from other mass merchandisers. They really force encourage companies to provide different items for them than say Walmart. So you'd find a SKU (product) at Target like a pattern, appliance, type of shampoo that you simply can't find anywhere else. 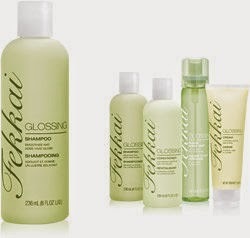 This is my favourite brand of hair care products. Love, love, love how it makes my hair feel after. And there are always specials at Target. 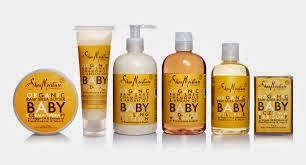 This line of Shea Moisture Baby products is my favourite, not only for the babes but for the entire family- can also be found in Walgreen by the way. Your baby will smell like cake. 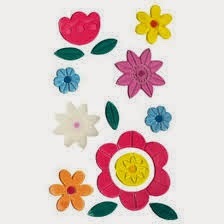 Target's seasonal gel clings for windows can keep toddler hands busy for quite a while. 4- Their party stuff is so funky and unique… and not too much licenced stuff. 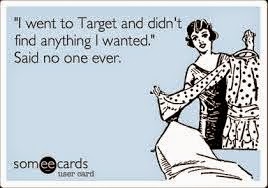 So Target, you and I will once more begin our long distance relationship but our love affair is far from over. LOVE the dollar bins. Targets are better than anyones. I have never shopped for workout clothes there.... next time I go I will take a look! Dollar bins and workout clothes get me every single time!! That is really interesting about their products..I love to find out little "inside" scoop like that. Glad y'all are better! I cannot believe Target is leaving Canada! How frustrating! Workout clothes are the best there. I will check out those hair care products. I'm sad for you! No Target? Not sure what I'd do with all that weekly free time. I'm pretty sure Ez thinks Target is our second home. 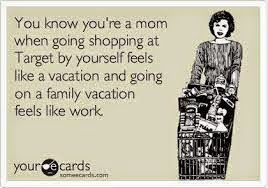 Love those Shea Moisture baby products too, and so true about the window clings. Ez is surprisingly entertained by those things. $1 well spent! Wow! Can't believe Target is leaving Canada- what a bummer. Love your blog design and especially your Shakespeare quote "although she be but little, she is fierce"
Love, Love Shea Moisture! That is all we have used for my baby and I recommend it to everyone! It has never dried his skin out or made his eyes hurt..and smells great! The Liz Lange for Target maternity tops are the absolute best! They are the only ones long enough for me to last the entire 9 months, and they don't have ugly ruching! Glad to hear Target still delivers to CA! It's looking so nice! I love it very much thanks for sharing nice Baby products and If you want related inform please check my page lifting tank tops.